Over the years, I am sure that you have heard people say, “God loves you!” If you are anything like me, you might have instinctively thought, “Yeah, I know God loves me. He loves everybody.” In his book, Into His Likeness, Be Transformed As A Disciple of Christ, author Edward Sri, writes that moving towards intentional discipleship means that we have to encounter this love of God anew. As pastor of St. Monica, my primary job is to facilitate this encounter. 75% of St. Monica parishioners do not join us in worship on a regular basis. This percentage reflects trends at most Philadelphia parishes and across the entire US. This means that this “encounter” is not occurring in the lives of the people around us. Discipleship means having a relationship with Christ. 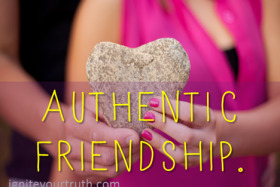 A relationship with Christ is based on “authentic friendship.” This is a rare commodity today. Sri writes that we live in a highly utilitarian age. Adults feel that today, our “identity and sense of self are wholly dependent on how well we perform and how we are viewed by others. Children sometimes grow up feeling loved by their parents for what they achieve in school, on the field, and in the dozens of their extracurricular activities. Young people growing up in a digital age are trained to see their value as being based on how well they artificially project themselves, how many ‘likes’ they ask their friends to give themselves, on how many followers they acquire on social media (Sometimes with deadly consequences), on how many ‘likes’ they artificially project themselves, on how many followers they acquire on social media (Sometimes with deadly consequences). Even for some of the most outwardly confident, competent, successful people, the idea of being someone who is truly lovable, of being loved as a person for one’s own sake, just being who they are, is hard to imagine. Authentic friendship is a relationship where two people seek what is best for each other. This lies at the heart of authentic intentional discipleship. It is not just turning away from sinful actions. It’s turning away from false views of God and yourself. Anything else is an idol. It’s considering yourself and others in a utilitarian fashion. The ancient rite of the Sacrament of Baptism was full emersion baptism. Adults would enter a round pool of water (called the “Baptistery”) facing west. Why west? The sun goes down in the west. It was a sign of darkness. It ritually symbolized the life that the person had been leading up to that point. They plunged themselves into the water three times (The Greek word baptizein means “to immerse”). After that, they physically “turned around” and faced east. Why east? The sun rises in the east. It’s a symbol of light and the way of light they were now going to pursue. In Latin, the word for this physical act of “turning around” is conversio from whence we get the word “conversion. That means meeting God in the valley. This is where the Father greets us, with all of our thousands of fears, worries, hurts, suspicions, sins, weaknesses and failures. God’s love is unconditional, It is not dependent on how we perform, how many prayers we recite, how well we keep our Lenten observances, how well our kids behave at Mass and how often we avoid falling to sexual sin. God loves us … in all our messiness. This means that embracing two fundamental truths – the truth about yourself and the truth about God – might mean having your world turned upside down. It might require being reprogrammed from the damage caused by a utilitarian mindset where you see yourself in terms of our many faults and what you do for others. A converted view of yourself leads you to see reality correctly. From this fundamental conviction, a person finds their true identity. It forms a more solid foundation for your life. It gives you true confidence. And it moves you, your motivation and all that you do, in a new way. Understanding this introduction is critical to understanding what true discipleship is – and is not. Over the next few weeks, I shall be discussing more practical aspect of discipleship. This will include some “action items.” We need to understand that such actions are only “tools” to move us in a direction. They are not the conditions of earning God’s approval. ← Homily for 6th Sunday of Easter, What does “Gospel Love” Look Like?